ARM Stocktrade is a mobile friendly trading platform so it’s perfect for trading anywhere and anytime. Our fees including trade commissions are competitive. We provide a variety of market research tools. The secret is to keep it simple: whether in fundamental or technical market research. Take advantage of our periodic trading promotions where you can trade without paying commissions (except regulatory fees). ARM Stocktrade aims to make trading easier and more successful with the tips and tricks. We provide great tools to help you make the most of every trade. 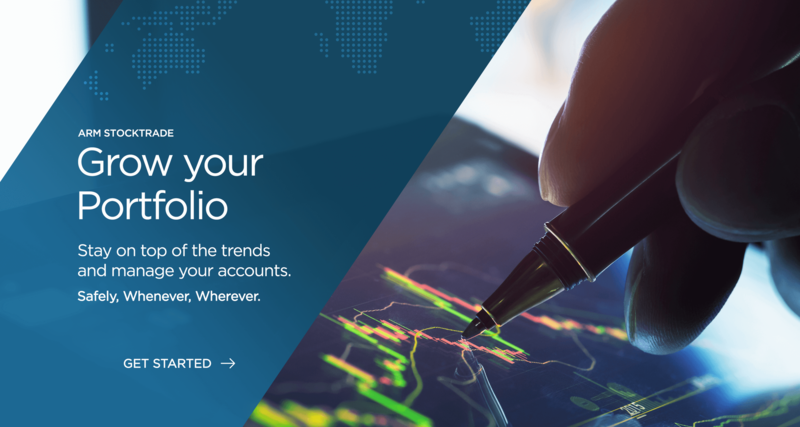 ARM Stocktrade is a stock-trading platform which provides round the clock access to great tools, a robust body of research as well as up-to-date market analysis. It aims to empower you to make informed investment decisions while you invest and make money on your own.